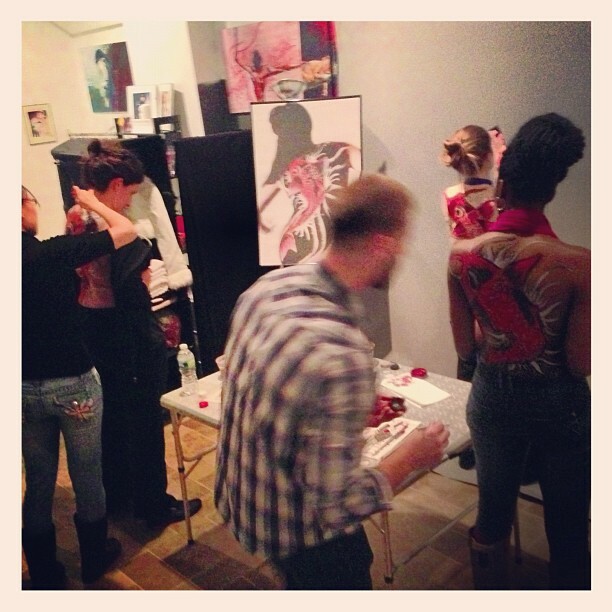 These are pictures from the beginner’s body painting class on 12/12/12. This is the class for people who want to get into body art but don’t know where to start. The students were nervous about painting at the beginning, but as the class progresses they gained confidence and were really proud of their paintings at the end of the class.